We have many enquires for roof maintenance in Wallasey from new and existing customers. Spotting roofing problems early can save you money and problems in the future. 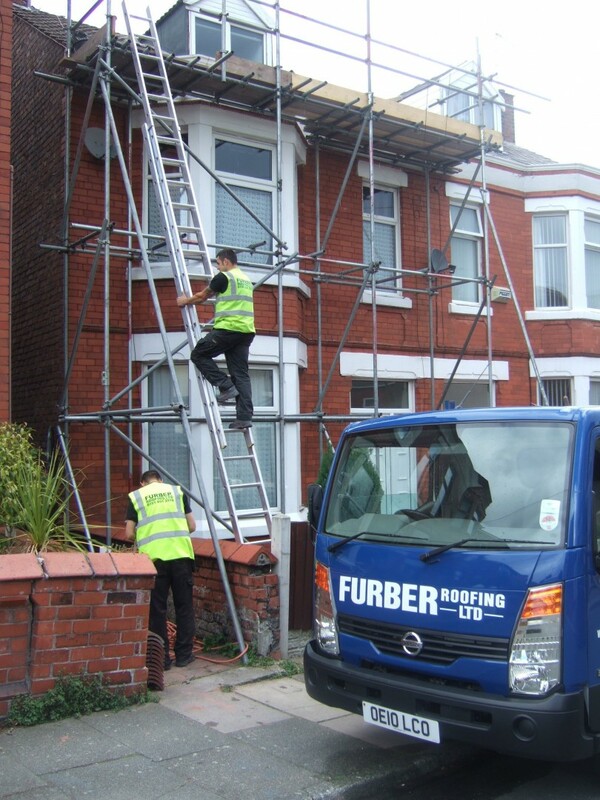 We recently carried out roof maintenance work in Wallasey which included erecting full scaffold to the front elevation with a working platform at gutter height. All scaffolding is carried out by our own fully qualified scaffolders. The roofing works in Wallasey involved a full roofing maintenance programme including stripping off and replacing broken tiles to the main roof and stripping off and recovering the bay roof using a 3 layer built up felt system with a heavy duty polyester green mineral felt finish. We also lifted the loose ridge tiles and refixed them by bedding in sand: cement mortar with mechanical fixings to ensure they do not come off in the future. Finally we replaced missing lead flashings to dormer abutment using new Code 4 sheet lead. On completion of the roofing maintenance works in Wallasey the scaffolding was dismantled and removed from site and all of our debris was cleared away leaving the customer worry free. We would recommend that annual roof maintenance in Wallasey is carried out and offer free visits and quotations from one of our highly experienced surveyors.